Perfect for storing extra comforters, blankets, duvet, bedsheets, towels, clothes, sweaters, linens, pillows and many more in style with our unique quirky doodle art space saver bags. 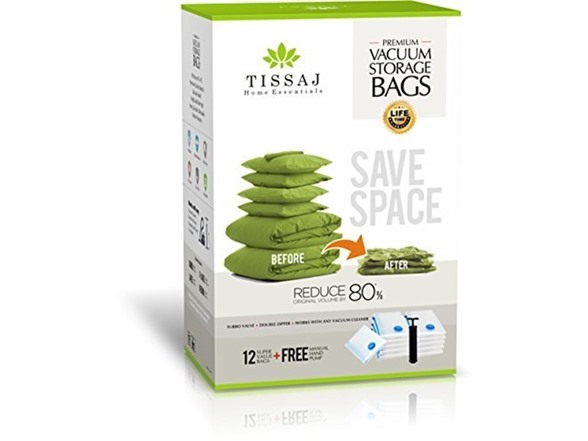 Shrink and Save up to 80% of your storage space than other storage bags. Our compression bags uses 15% more raw material than similar products. 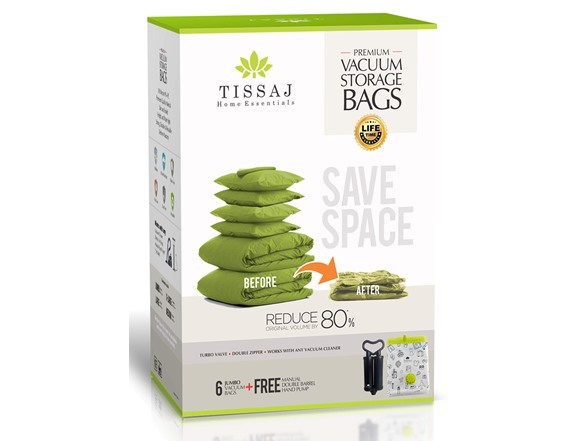 HEAVY DUTY SPACE SAVER BAGS - Tissaj Premium 100 Microns vacuum seal storage bags use 25% thicker and stronger material than other Vacuum Compression bags. 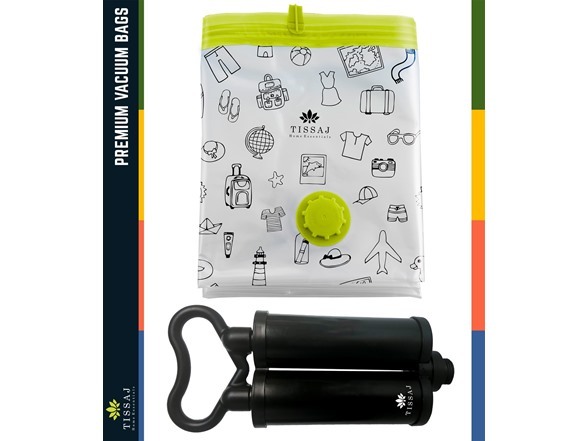 Our storage vacuum bags for clothes compliments the 100 microns space bags by using a revolutionary sealing technology in the form of double-zip seal and triple seal turbo valve, thus not only help you squeeze out all the air but also prevent any ingress of air once the bags are vacuum sealed. SUPER HERO ZIPLOCK SEAL SPACE BAG - Our premium antimicrobial storage bags feature a secure double sealed zipper to keep raiders like bacteria, mold, germs, bugs, water,air and moisture out. Stow the space saver bags in any place without any fear. WARNING - Keep Bags out of reach of children.These bags are not toys. FREE DOUBLE BARREL TRAVEL PUMP - Our Vacuum Seal bags are extremely easy to use and come with a universal slot that’s compatible with almost all kinds of Vacuum cleaners. Simply put in all your stuff in the bag, open the cap, plug in the vacuum cleaner, squeeze out all the air and close the cap – that’s it! FREE double barrel travel pump is available for your convenience when ever you are at home or go out for a trip. * ​​Expect 0.5in variation in the sizes. Tissaj is a modern age brand focused on bringing functional, smart home essentials of everyday value to our consumers. We bring in new age consumer products useful in everyday life for you at extremely competitive prices for the best in class quality. Our products range from Bed Linen to home organization products. These include Vacuum Storage Bags, Automatic Water Dispenser, Manicure Kits, Laundry Bags, Vegetable Storage Bags, Table Place Mats, Smart Water Bottles and much more.